Shannon is a passionate and focussed Clinical Psychologist, dedicated to assisting her clients to improve their quality of life, have better relationships with themselves and those around them, and to work towards living a wholehearted and authentic life. With over 10 years experience Shannon brings a range of knowledge and skills to her clients, and utilises a client-focussed approach, ensuring her clients feel free from judgement, supported, and that they control the focus of sessions. Typical client’s may be experiencing issues within their relationship, are unhappy with their day-to-day life, lack confidence to pursue their hopes and dreams, are anxious about their future and/or their relationship, experience power differences in their relationships, or struggle with feelings of aloneness, rejection, disconnection, anger or inadequacy. 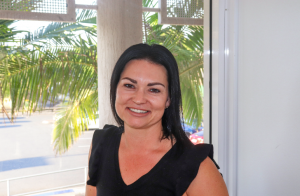 Shannon completed her Masters of Clinical Psychology at Curtin University of Technology in 2008. She went on to work with both youth and adults in the justice system in Western Australia, before venturing into Private Practice. Shannon has developed skills over the course of her career that have enabled her to work well with a range of presenting issues, including depression, anxiety, stress, trauma, self-esteem, anger, identity and issues around sexual health. She utilises a range of treatment approaches within her work, which include Schema therapy, Cognitive Behavioural Therapy, Acceptance and Commitment Therapy, Gottman Method, Emotion-Focussed Therapy, and Motivational Interviewing. Shannon has a special interest in couples and relationship work is currently participating in Certification Consultation Training in Gottman Method Couples Therapy. Shannon also utilises Schema Therapy techniques in assisting clients to improve their relationships, by exploring and addressing behaviours (such as avoidance, aggression, disconnection) that prevent individuals from having the loving, connected relationships that they desire. Her experience and passion also extends into the field of young people, where she started her journey of helping people. Shannon initially worked with young people at risk of homelessness and experiencing drug and alcohol and comorbid mental health issues. Working in this field required her to become particularly skilled at engaging young people to enable the opportunity for therapeutic change. Shannon is registered to practice as a Clinical Psychologist with the national Australian Health Practitioner Regulation Agency (AHPRA). She is accredited to provide therapy services through Medicare, private health agency’s, and NSW work cover. *Shannon was born in Wagga Wagga and is of Aboriginal decent. She is a mother and active member of the community, who enjoys keeping active, cultural activities, and spending quality time with family and friends.